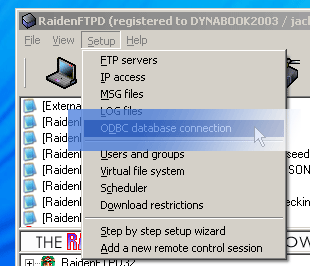 A : To connect your RaidenFTPD to the database system using ODBC and enjoy lots of new database only features , you first need to install a DBMS , we'll recommend this one MySQL™ , it's not free unless you meet their requirements , but you can decide if you wish to buy it or not by yourself. be sure to install to the c:\mysql , the default location , we'll use this path in the whole tutorial , unless you know what you are doing , do not change it. 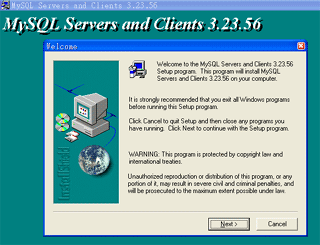 use windows explorer to open this file c:\mysql\bin\winmysqladmin.exe , double click on it to launch it. now we are going to create the necessary database , use windows explorer to open this file c:\mysql\bin\mysql.exe, double click on it to launch it and you will see a command prompt window , simply type CREATE DATABASE raiden; and hit enter and your database is created , if you don't like this command prompt way , don't worry we'll introduce another GUI based administration tool later , although it will require extra setup procedure . note : a valid advanced license is required before you can use this feature. 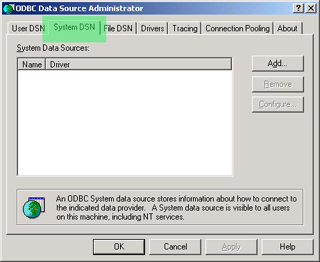 Now just enable odbc and enter the odbc data source name you just setup. note : when using mysql odbc, we already entered the username/password in odbc data source setup so we don't need enter it again here. 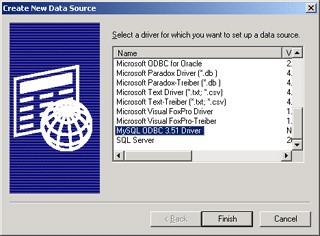 note : when using ms sql server odbc, no matter you entered username/password in odbc data source setup or not, you HAVE TO enter it again here. Now click Ok to continue, if everything is correct, you will see the following messages in RaidenFTPD startup messages. What are the available tables and schemas of RaidenFTPD? Take a look at your raidenftpd program directory and find this sql directory and you will see all the table schemas and table creation commands.